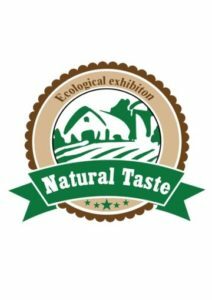 It is a great pleasure to invite you to International Exhibition for Ecological Agriculture ECO-INT 2018 NATURAL TASTE, 2nd Edition. The show includes conferences as well as workshops, discussions, gastronomical contest with ecological food. Topics to be discussed are “Organic Agriculture – National and International Realities and Opportunities” and ”How to Become a Farmer in Organic Farming”. The vision for the Natural Taste event is to become a tradition and emblem of an exhibition exclusively dedicated to organic farming, organized in Romania in partnership with the LIVESEED partner Romanian Association for Sustainable Agriculture (RASA). In order to participate, please register by filling in the registration form. For more information contact the organiser Tiberius Casis (0040 723 366 961; office@eco-agricultura.ro). This project has received funding from the European Union’s Horizon 2020 research and innovation programme under grant agreement No 727230 and by the Swiss State Secretariat for Education, Research and Innovation under contract number 17.00090. The information contained in this communication only reflects the author’s view. Neither REA nor SERI is responsible for any use that may be made of the information it contains. Boosting organic seed and plant breeding across Europe. LIVESEED is based on the concept that cultivars adapted to organic systems are key for realising the full potential of organic agriculture in Europe.